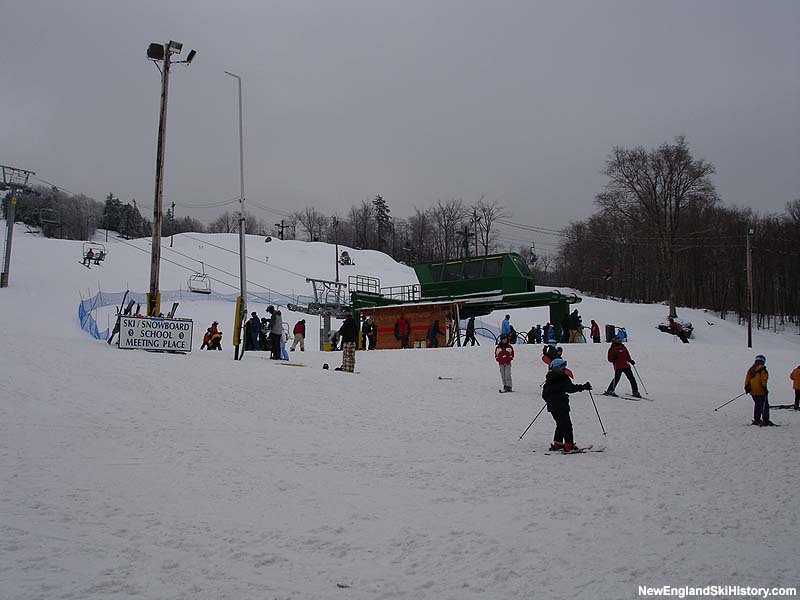 After operating under its original footprint for a few seasons, Bolton Valley pushed forward with the development of the second of eleven planned peaks. Located above the Mid Mountain Lift, the Vista Peak area was introduced in 1969-70 to provide some much needed expert terrain. 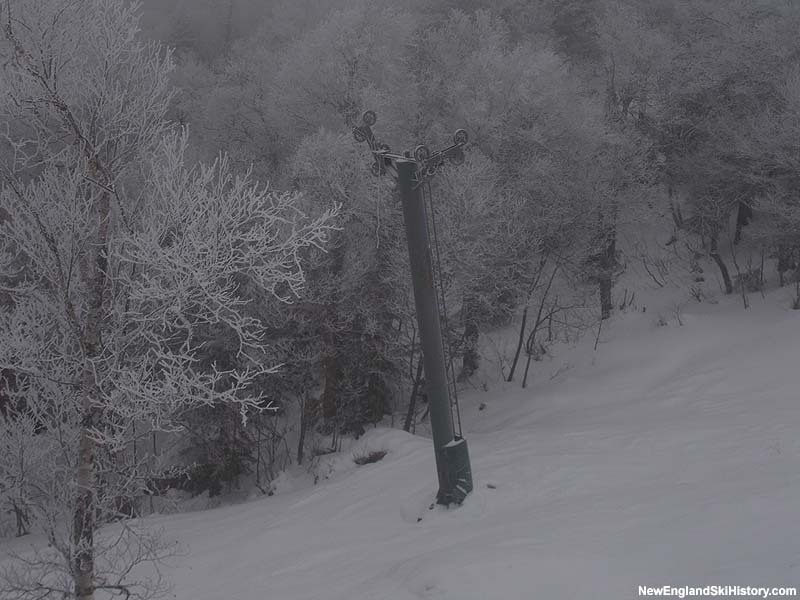 Serving the area was a new 650 vertical foot Poma double chairlift. Three decades later, having recently taken over a financially troubled ski area in 2002, new ownership decided to take action. 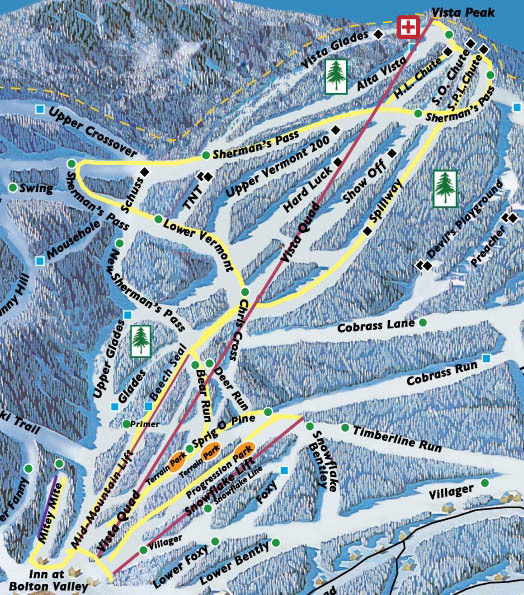 One issue of particular concern was the aging lift infrastructure on the main mountain. 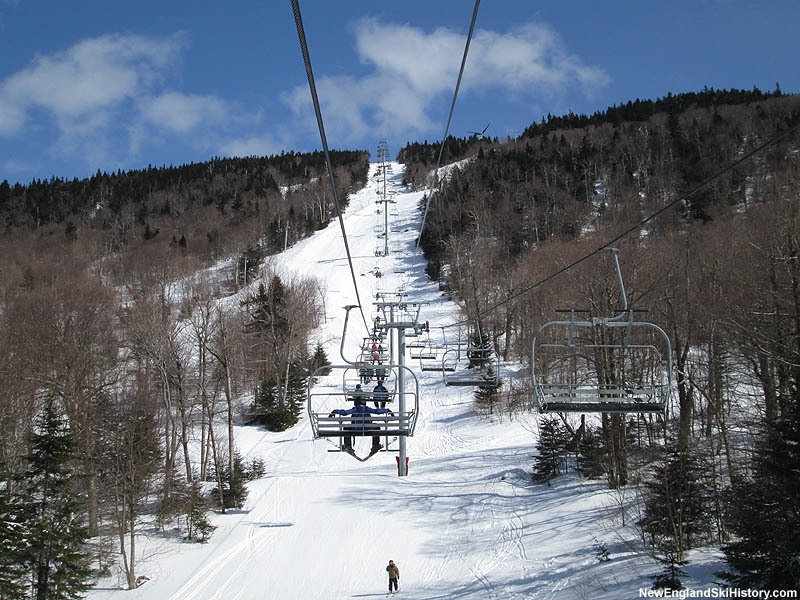 In 2005, the owners were able to secure $650,000 low-interest Federal loan to help with the purchase of a new, $1.3 million Doppelmayr CTEC fixed grip quad chairlift. Replacing the 35 year old Vista Lift, the new 955 vertical foot Vista Quad allowed for top-to-main-lodge skiing from Vista Peak for the first time ever. 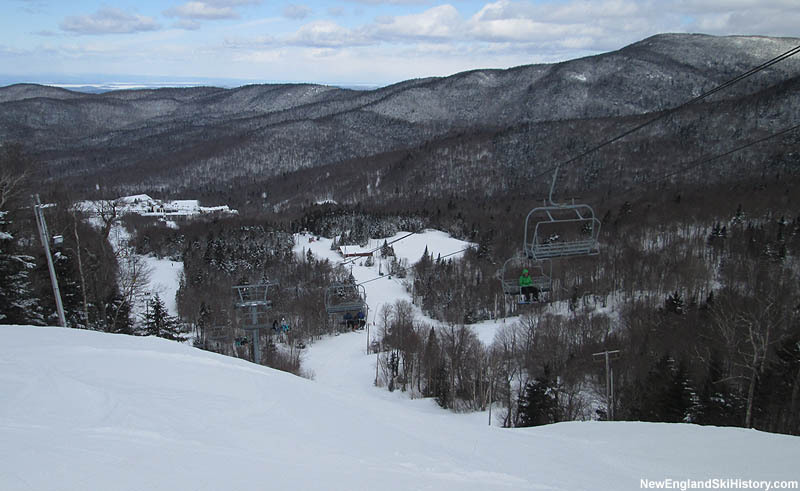 At 4,389 feet long, it would be the second longest chairlift at the ski area. 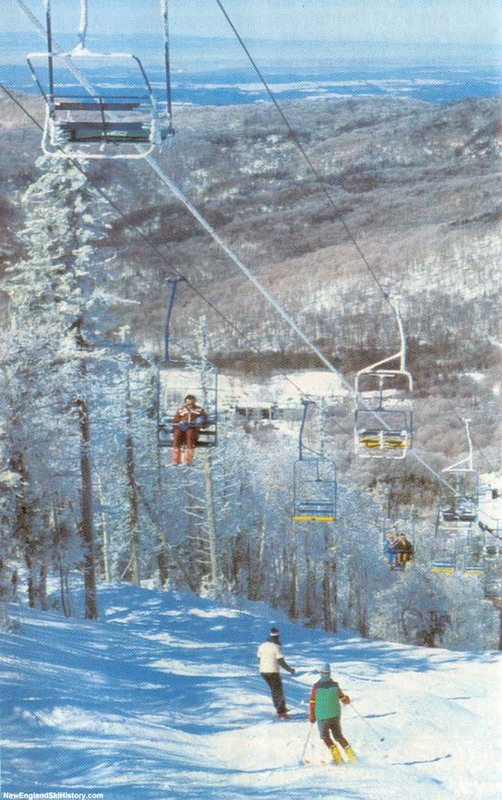 In addition to providing a modern lift from the base area (despite being the newest double chairlift at Bolton Valley, the Vista Chair was also one of the most heavily used), the new quad also allowed for more scalable operations during non-peak times. With the new chairlift terminating above the former Vista Chair, Bolton increased its advertised vertical drop from 1,634 feet to 1,704 feet. 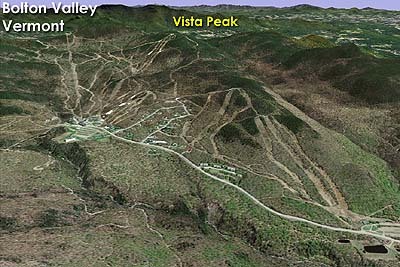 New terrain was added off Vista Peak, including the intermediate Alta Vista trail.